InterNations Luanda - Down South with a Fabulous View! It’s summer time , the weather is great, holidays are over... so it’s officially ROOFTOP SEASON!! 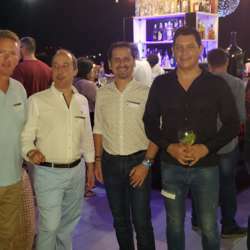 We are going to one of the the most fabulous rooftop bars in Talatona! We are very excited to invite you to this new venue, one of Luanda's most talked about bars! 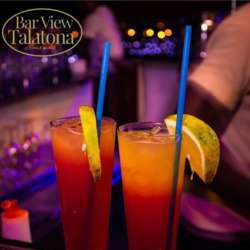 The fabulous Bar View Talatona offers its visitors two distinct options – a Lounge and a Restaurant. It’s a fine place to have lunch, dinner or even a drink after work. Additionally, if the idea is a more lively ambience Friday and Saturday evenings won’t let you down. The relaxing atmosphere and the enjoyable r top! It’s possible to have dinner in the lounge area till 7p.m. But since we are doing after 9pm , we are really going for the great music and fun dancing night! One of the best rooftops of Talatona , the view won’t disappoint you! Calling all our south side members , Talatona , Morro Bento , Benfica , Kilamba et all. 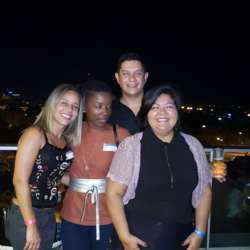 Show us city people , that there is a lot of fun to have em Luanda Sul!